What causes it? There are many causes of weight gain. Most commonly it is due to one of the following: poor diet, overeating, pregnancy, lack of physical activity or inactivity, stress, genetics and gender (women are more likely to become obese, due to increased levels of body fat mass). What are my treatment options? 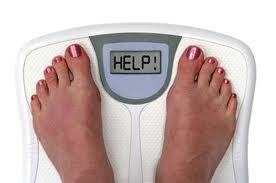 Most healthcare providers believe that overweight individuals should try to lose weight gradually. This reduces the risk of nutritional deficiencies, a slower metabolism and increases the likelihood of long-term success. Conventional approaches: It is well known by the medical community that being overweight is associated with many forms of chronic disease. Unfortunately most medical doctors do not have enough time to educate patients and provide the ongoing care that is necessary to support patients trying to loose weight. A referral to a trained practitioner such as a Holistic Nutritionist or Naturopathic Doctor can make success in achieving the ideal weight a reality. If emotional eating is a factor in your weight gain, psychotherapy with either a Clinical Psychologist or a Psychotherapist may the best route. A healthy diet and regular exercise are major contributors to treating weight concerns. However, it is not just a matter of cutting out candy and hamburgers. Many people do not realize that the food they thought was healthy for them, is working against their goals to loose weight. Food allergy testing performed by a trusted laboratory or practitioner is a very helpful tool in identifying food intolerances that may be negatively effecting a persons digestion and metabolism. 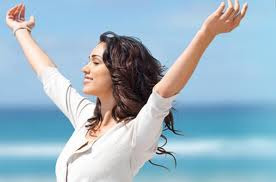 The Healthy Transformation weight loss plan is a therapeutic nutritional program designed to support weight loss by providing a detailed nutrition plan and supplement which optimize your metabolism. An initial assessment with Dr. Slipacoff or Dr. Cardona, ND is conducted including BIA testing and measurements. Read more by clicking on the above link. Holistic Nutritionists are highly trained in working with clients to shed those unnecessary pounds. Leora Barak, the clinic nutritionist can assess you for nutrient deficiencies and metabolic disturbances that may be inhibiting your ability to loose weight. She can also prepare meal plans based on these results to help you improve your diet and get on the right path to weight loss and better health. Click here to read more about Leora's Weight-to-bliss weight loss plan. Click here to learn more about KIH's Specific Weight Loss Plans and start on your path to better health! If you are looking for effective treatments for weight loss and excess weight, come visit us at KIH clinic. We are located right in the heart of the Kleinburg village. Fill out the form to the right of this page and we will get right back to you promptly with up-to-date, accurate and useful information on the next best steps in the treatment of your condition/concern. Loose weight quickly and effectively!